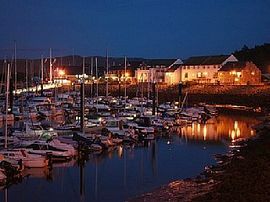 Tardys is set in a quiet cul de sac on Conwy Marina, a short walk to the first tee, dog friendly beach and excellent marina pub. With private off road parking, 2 bedrooms and 1.5 bathrooms. 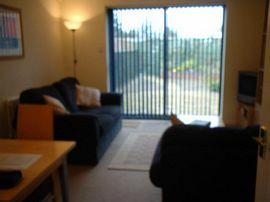 Entrance hall leads to sitting room with comfortable sofas, DVD, CD, Freeview TV, Wi-Fi. Dining area for 5. Doors to enclosed patio area with outdoor furniture. 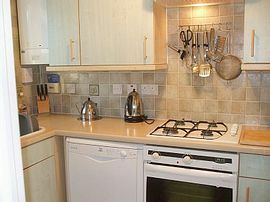 Well equipped kitchen with dishwasher, washer-dryer, microwave, fridge-freezer, hob-oven. Downstairs WC. 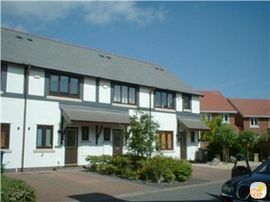 To the first floor is a double and twin bedroom (with golf course views). Full bathroom with bath and shower over, WC and basin. 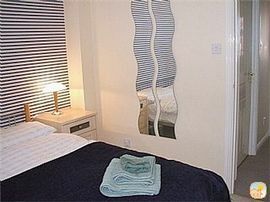 Price includes heating, electricity, bed linen, towels, we do not charge a booking fee and dogs stay FREE! We have welcomed guests in wheelchairs. Please email for our Access Statement. Privat patio with outdoor furniture not directly overlooked. Private off road parking. From: £295 to £645 per week. Rates include heating, electricity, bed linen, towels & dogs stay FREE!